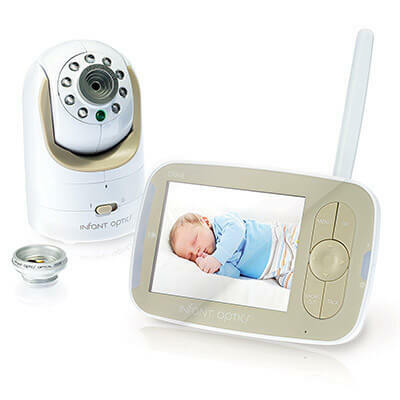 #1 Best-selling high-quality video baby monitor. HD video, built-in nightlight, temperature and humidity sensors. The only baby monitor that shows a graph of your baby's breathing. 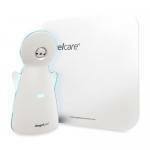 Affordable baby monitor featuring up to 1,000 ft of Range, 5-Level Sound Indicator & Belt Clip. High-quality video baby monitor for parents on a budget. Is a Baby Monitor Necessary? How Long Will You Use a Baby Monitor? How Much Do Baby Monitors Cost? New parents love to be with their baby, but it’s impossible to be with your child at all times. A reliable baby monitor lets parents keep an eye on their baby at all times, even from work! You can go about your day, cleaning the house or working in the garden while knowing that your child is safe in their bed. Getting one of the best baby monitors is a must-have for all parents! If you head into the store, you’ll notice a huge variety of baby monitors, as well as a wide range of prices. They can range in price from $40 up into the hundreds! Baby monitors have a variety of features, like long-range monitoring, dual cameras, and WiFi connectivity. So, let’s break down what you need to know and our pick for the 5 best baby monitors. Infant Optics earned a spot on our list because of the over 20,000 – seriously – reviews from parents! It’s not often you see a baby gear reviewed so much, but parents rave about the features and quality, so you know there has to be something here. Infant Optics DXR-8 gives parents the capability to zoom in extra close to their baby, even if the camera is further away from the crib. You are able to remotely adjust the camera with the receiving monitor. There is more to love, so let’s check it out! 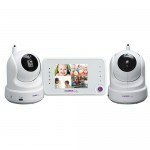 The Infants Optics is video and audio monitor that is very high quality in both daytime and nighttime. Parents do have the options to just use the digital audio portion rather than both. It has a 700 feet range, which is adequate! Parents love that you can leave the monitor on for up to 10 hours in the power-saving mode. This mode means you don’t have to worry about leaving it plugged in overnight, but it does offer the option to leave it plugged into an outlet. The power-saving mode provides sound monitoring only, leaving the display off. If you leave the display working, it will last for six hours. It does use batteries, and we found that it was one of the few monitors that can last through the night unplugged with the display off. Then, it lasted a few more hours throughout the day before needing a charger. The manufacturers claim that the batteries can last 10 hours with the display, and we can attest to the fact that they last even longer. The model can charge via USB connection, which is something other models don’t offer. Parents can expand the Infants Optics up to four cameras, so you have the option to place cameras throughout your house. When you use the receiver, you just press a button to toggle and move through the various camera locations. Unfortunately, this receiver doesn’t allow you to see all of the screens at one time, which is a bummer. Toggling through them isn’t difficult though! We should note that each camera is expensive, so if you were to add three more cameras, you are investing a few hundred dollars. If your goal is to have several cameras throughout your house, that might not be the most affordable choice. Infant Optics does feature wireless encryption, so parents can feel comfortable using this baby monitor. The Infant Optics stands out on our list because of its the multitude of features. First, it features a two-way intercom that lets the parent talk or sing to your baby. Next, we love the ability to pan, tilt, zoom the camera; you can pivot the camera remotely up to 270-degrees left to right. You also can tilt the camera up and down to 120-degrees. That’s fantastic! Parents also like the baby room temperature sensor that displays the reading on your receiver. Speaking of the parent unit, it is simple, easy-to-use, and basic. It doesn’t have a touchscreen, but rather a group of four buttons to navigate through the options. The Infant Optics sounds amazing, so is there a catch? You’ll pay for all of the fantastic features; it’s not the cheapest choice! The quality, reliability, and features make the DXR-8 one of the top choices. Some parents want to have stats and analyzed data. If that sounds like you, the Nanit Smart Baby Monitor offers a camera that watches your child’s every moment. Then, the system analyzes the data and lets you know what it means. All of the data is sent to your smartphone, which happens to also be your handheld receiver, and it lets you know when your child wakes up, is fussing, or falls asleep. The information is analyzed, and the Nanit gives a sleep score to let you know how many hours your baby actually slept that night. The Nanit also keeps track of how many times you entered your child’s room and how long it took your baby to fall asleep. The Nanit is a wireless network monitor, capable of streaming live videos and audio directly to your smartphone. Parents can check on their child even if they aren’t home. It streams in high-definition digital video and digital audio. You just have to download the app to your Android or iOS device. Nanit needs to be connected to your home’s existing router. Unfortunately, the Nanit must be plugged into an outlet for it to work. The receiver is your smartphone, so it can run either way. Frequent watching of the live stream can cause your battery to die quicker on your smartphone. If you want to monitor more than one baby, Nanit offers twin and triple packs. You can switch between each camera with the click on a button. If the app isn’t open, you can still get real-time sound and motion notifications for both babies. The cost is significantly higher though! Nanit is extremely safe for parents and babies. All data and communications are encrypted and unidentifiable. Nanit uses AES 256-bit symmetric-key encryption. What that means is only you can see your baby. Nanit doesn’t use an IP address that could be hacked. Instead, the system pushes an encrypted video to right their servers and your authenticated device. Talk about safety! That Nanit is awesome! Nanit offers several extra features aside from its ability to analyze data. It includes a nightlight, a temperature sensor, and a humidity sensor. 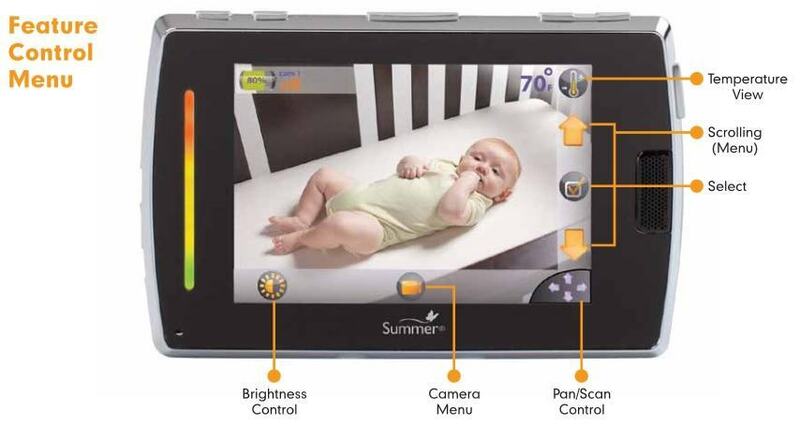 The camera features a digital zoom, so you can zoom in and out from your app to get a better view of your baby. Nanit also includes a wall-mount, so you can have an overhead view of your baby. The kit includes the wall mounting hardware and cord hiding strips. One thing to consider is that, if you want to receive the stats, you need to download the Nanit Insights app. It’s a subscription-based service. The first year is free with your purchase, but then its $100 per year to get all of the stats. SIDS is real and scary, and new parents often need a bit of comfort to sleep better at night. The Cocoon Cam sends a graph to your smartphone that shows your child’s breathing patterns by watching the rise and fall of your baby’s chest. If the Cam senses that something might be wrong, it sends an instant notification to your smartphone. The system also sends notifications if your child falls asleep, cries, or when he starts to stir before waking up. Cocoon Cam is a wireless network monitor that live streams video and audio over the existing Wifi network in your home. Unlike other options, Cocoon does let you connect with an ethernet cable! That means you can watch your baby wherever you want. It features 720p high definition videos that come in crisp and clear. The camera does, unfortunately, require to be plugged into an outlet. The receiving unit is your phone, and streaming the video does take up some of your battery. You can’t expand with the Cocoon Cam. It is meant just to work with the one camera and monitor your child. The alerts are sent for one child. A video feed is sent wirelessly over to your phone, and the live stream is encrypted so that no one else can access the feed. That should make you feel better! We like that the Cocoon Cam comes with wall mounting hardware. Unfortunately, if you want to mount it elsewhere, you have to purchase a stand for it. That means it might not be the best choice if you can’t drill into the work for the mount. Some rentals don’t allow that, so consider the rules of your housing. One of the main negatives of the Cocoon Cam is that you have to manually adjust the lens. You can’t use your phone to get a better focus on your baby. So, that means, you want to make sure you mount it correctly. Are you in the market for something simple? The VTech DM111 is the perfect choice for you then! Most cheap video monitors, you get what you pay for, but the VTech DM111 is a quality audio-only monitor. We love the crisp, clear sound and the talk-back function which is better than other options. It has a longer range and easily beats out other audio-only monitors. The thousands of positive reviews prove that this monitor, despite its basicness, is a worthy contender. VTech DM111 is a basic, audio-only monitor. 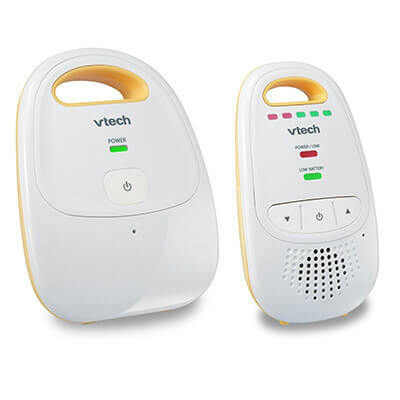 You are only able to hear your baby, not see him, but VTech did add a talk-back function. VTech advertises that it has a 1,000 feet range, and that’s also impressive. Chances are you can head out to the garden with the receiver and hear your baby just fine. You just have to decide if the loss of a video is a huge deal to you or not! 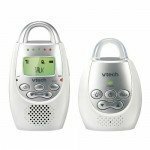 VTech uses DECT 6.0 digital technology that helps to eliminate any background noise or interference. That means the transmission you hear of your baby will be clear without static. It makes it easier to determine if your baby is fussing or actually crying. The battery lasts around 19 hours when on a full charge; that’s pretty impressive. It has one of the strongest battery lives in any of our tests. You really can’t compare this battery life compared to a video monitor, but we do like that you don’t have to worry as much about keeping it plugged in all day and night. It does use 2 AAA alkaline batteries that are sold separately. Because the VTech is just an audio monitor, there is no ability to expand it. If you want to monitor two rooms, you’ll need two sets. While the VTech doesn’t work on the wireless network, it does use DECT technology which sends a secure, encrypted signal. That means you never have to worry that the weird neighbor down the road can tap into the feed and hear if your baby is awake. On the side of the transmitter, there is a set of five LED lights that let you know how loud your baby is crying. These lights are helpful because some babies fuss and make noises in their sleep. He may let out a cry or two in the middle of sleeping. Seeing the lights let you know if you need to go get him. Also, it means you can turn down the monitor when you’re watching a movie and still can tell if your baby wakes up. VTech added a simple built-in belt clip that lets you move around the house freely and hands-free, taking advantage of the extended range. VTech does have one issue – connectivity. Parents do note that sometimes it has difficulty linking up or randomly dropping signal. That doesn’t happen to everyone though! However, despite the lack of features, it’s a great budget-friendly baby monitor. It’s also a great choice for a caregiver! The last baby monitor on our list is the Babysense Video Baby Monitor, which is a great bang-for-your-buck choice. It won’t break your bank, but it also has solid features. You might notice that this monitor is sold under two names: Babysense and Smilism. They’re both the same thing with different logos. We aren’t too sure why the company sells under two brand names. So, let’s take a look at what’s so great about this monitor. 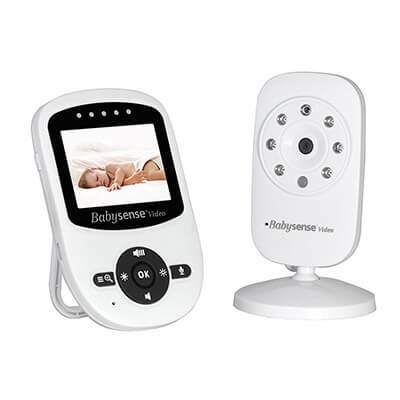 Babysense is an audio and video monitor that offers parents crystal clear sound quality and a high-quality LCD screen to keep an eye on your baby. The camera has infrared night vision that detects dim lighting. That means the video quality is always clear, even in a dark room, so you will always know what your baby is doing. You can monitor your baby from as far away as 900 feet in open space. To save battery life, Babysense added an “eco” mode that keeps the screen off unless your baby starts to make sounds. On top of the unit, a little flashing light lets you know that it’s on eco mode. The monitor screen will automatically turn back on, light up, and start transmitting sound and video signal when your baby starts to make sounds. Parents can control the sound activation level – low, medium, or high. This monitor is expandable! You can add up to 4 cameras and use the same base unit. Using the base unit, you can cycle through all 4 cameras at any given time. Unfortunately, you aren’t able to simultaneously view all of the cameras at one time. Babysense uses a secure connection to transmit the signal from the transmitting cameras to the receiving unit. For us, the extra features stood out, especially at this price range. 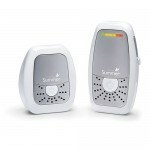 Babysense added a two-way intercom so you can talk to your baby, as well as room temperature monitoring. If your baby’s room gets too cold or hot, it sends out an alarm to let you know. It alerts if the room is too hot – above 90 degrees F – or too cold – below 55 degrees F.
You can use the receiver to remotely zoom onto your baby and the transmitter plays a few music options to soothe your baby. It has a 2x digital zoom that shows everything in detail. It comes equipped with a 2.4-inch HD LCD color screen and a 2.4 GHz digital wireless transmission. We also like that you can set up a feeding, medication, and diaper changing scheduled alerts. It helps you stay in touch and connected to everything! The camera is missing a few features, like remote tilt and pan. You have to make sure you position the camera the right way. Also, the range isn’t super impressive. If you try to head outside, the signal will drop intermittently. Even with a few features missing, the Babysense is a great budget-friendly pick for the best baby monitor. Baby monitors send sound and/or video from your baby’s room to a receiving device over a selected radio frequency band or internet connection. No matter the type of monitor you purchase, it will come with a transmitter, that stays in your baby’s room, and a receiver, that you take with you. Some transmitters can be mounted to a wall. Receivers are handheld devices, and some use your smartphone as the receiver! We know that some parents are minimalists and don’t want to purchase items that aren’t necessary. A baby monitor isn’t a necessity, but it can be a great purchase for some parents. If you live in a small space or co-sleep, you might not need one. Those with larger houses or who opt not to room share will definitely want to consider purchasing a baby monitor. That way, you always know that you can hear your baby. If you like to peek at your baby when he is sleeping, a monitor is helpful as well. It always seems as if they wake up as soon as we try to ninja our way out of checking on them. It’s like they know we are close! Also, parents who work might want to consider a baby monitor because they can double as a nanny cam. How long you use a baby monitor will depend on what type you pick and your needs. Sound and video options can be used for years! Video monitors will provide the longest period of use because you can use them to keep tabs on your children when they are playing in separate areas of the house. Wi-Fi options have extended use because you can use them as a nanny cam. Some brands can be used for security purposes as well. So, if you go for a versatile pick, you can use a baby monitor for years! Baby monitors can range in price from $20 upwards of $200. The high priced monitors tend to have all of the latest bells and whistles. Don’t feel as if you HAVE to spend $200 to get a good one. You can get decent video monitors for $100, but you might lose some video resolution. Basic, audio-only monitors cost the least amount and typically have the least amount of features. Be cautious about using cheap video monitors. Some of them are known for their lack of security, and they can be hacked. Always change the default password. Before you look at any other features, you have to decide what type of monitor you want. No matter the type you pick, all monitors work on a selected radio frequency band that transmit sounds from your baby’s room to a receiver, which is typical with you. Here are the types of monitors you will find. Audio monitors are the simplest kind you can purchase. Prices range from $25 up to $150. Most have lights on the receiver that get bright as your baby cries louder. If budget matters most to you, audio may be the best choice. Often called combo monitors, video and audio monitors range in price from $80 to $300. Most parents love this style because you can see and hear your child, so you can observe them if they are awake or sleeping. Wireless network monitors use the existing network in your house or apartment to transmit sounds and video to the receiver. Often times, parents can use their phone as the receiver. Once you locate the wireless network on your transmitter, the monitor sends encrypted videos to your computer, iPad, Android, or iPhone. Remember that these monitors are fully dependent on your WiFi, so if it goes down, so does your monitor. If you want high definition video, your internet has to be fast enough to stream live. Also, without unlimited cellular data, you may want to reconsider it. It can eat up your data fast if you are on 4G LTE cellular service! Baby monitors either run on an electrical outlet or batteries. Typically, the transmitter uses non-rechargeable batteries, and the receiver uses rechargeable batteries. You don’t want a monitor that will drain your batteries super fast. Typically, a transmitter unit will be fine plugged into your child’s wall since the baby bassinet or crib isn’t mobile. A receiver, on the other hand, will go with you, whether that’s to the kitchen or outside. It will likely run on batteries, and you don’t want to replace them weekly. So, when we looked at options, we looked for a monitor that could last overnight, or at least 8 hours, without being plugged in. Models that idle the display screen to conserve batteries are good picks, and ideally, they would recharge quickly. Do you want more than one receiver? Two receivers are convenient because you can keep one plugged in your bedroom and carry the second one with you while you complete chores around the house. Okay, let’s be honest; you’re catching up on shows – we know! Certain monitor systems allow you to add up to four cameras! If you have more than one child to watch, expandability is a must-have. 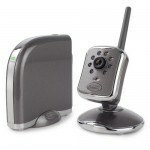 Extra cameras are great if you are a working parent and have a caregiver coming to the house. You can mount multiple units throughout the house for an overview of what is happening. That gives you peace of mind while you’re gone. This feature only matters if you decide you want a wireless network baby monitor. Wireless encryption makes sure no one else can tap into your monitor’s feed and see what’s happening inside your house. This style of monitors is more susceptible to hacking. Security is a huge factor for parents. You might be skeptical about the stories of people hacking into baby monitors, but the truth is some pose more of a risk than others. Wi-Fi enabled monitors are more vulnerable, and encryption is vital. Monitors come with a variety of features. Some of them may not be important to you. Everyone is different, so take a look at some of the features you may encounter. Temperature Sensor: Do you worry about the temperature in your child’s room? 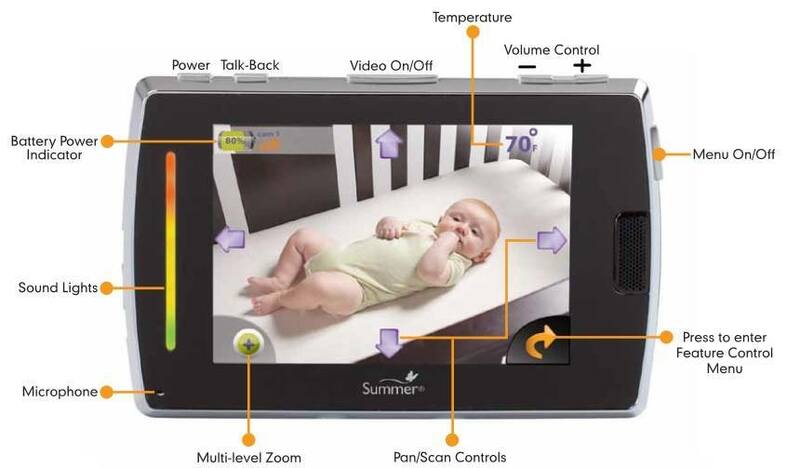 Some monitors include a temperature sensor for your child’s nursery. Babies do best between 68 to 72 degrees F.
Sounds and Lights: Many parents prefer lights on the receiver that turn on when your child starts to make noises. More lights mean that your child is crying louder. It lets you know that your child is awake even if you have the volume down low. If you are talking on the phone and have to turn down the volume, you can still know if your baby woke up. 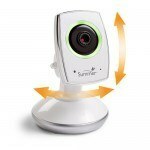 Adjustable Camera: Do you want to have to sneak into your child’s room to adjust the camera if it’s out of focus or range? Of course not! An adjustable camera lets the parent pan, tilt, and zoom. It’s a convenient and useful feature. If it doesn’t have an adjustable camera, wide-view cameras are the next best bet. Out of Range Indicator: If you like to head outside when your child takes a nap, an out-of-range indicator lets you know that you won’t be able to hear your child if he wakes up. Some models only emit static, but others have a light or a beeping sound. That is much more obvious and convenient. With so many baby monitors from which to choose, parents or caregivers may have difficulty deciding the one best for their child’s needs. 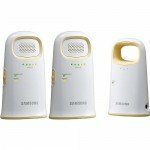 What are the different baby monitor types? What do baby monitors do? What are the differences between each type? What features do I need? Should it be wireless or should it be used through existing household electrical wiring using x10 protocol? By answering these sorts of questions, parents or caregivers can determine the best baby monitor for their home or environment. Baby monitors can be summarized in four different categories: Baby Sound monitors, Baby Video monitors, Baby Motion monitors, and Prenatal Sound monitors. They also can be divided into wired and wireless types. 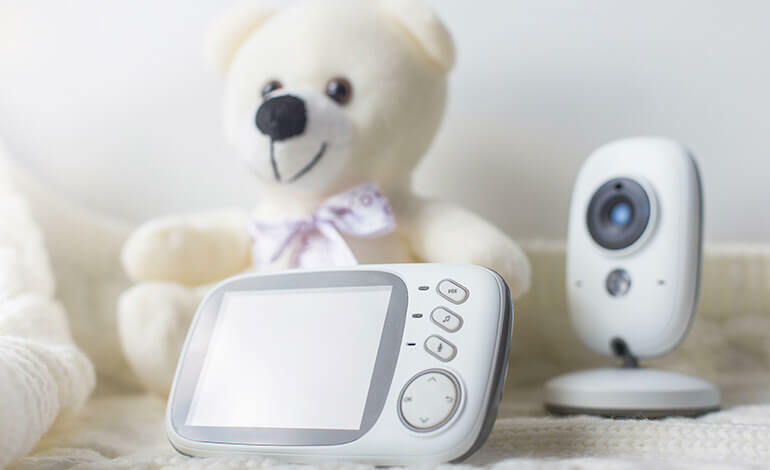 Baby monitor features come with many options; hence, it’s important to know what’s available and how to take full advantage of a baby monitor’s capabilities. 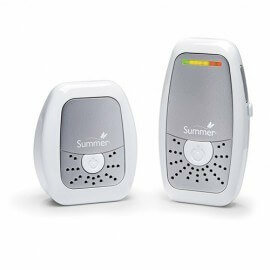 When people think of baby monitors, a baby sound monitor is what commonly comes to mind. 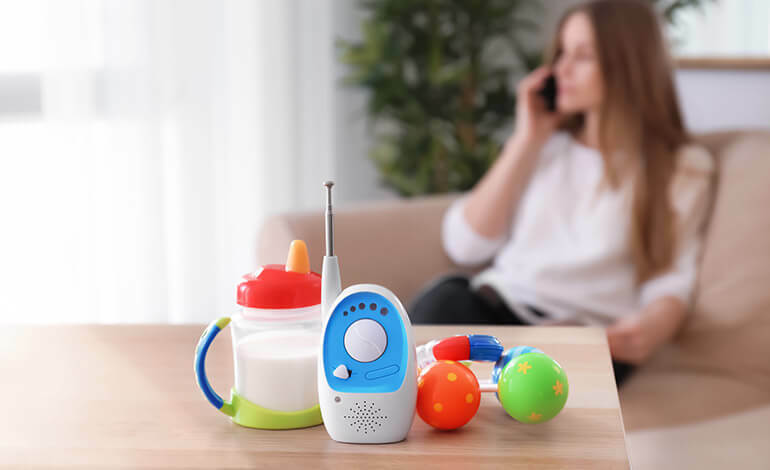 The most widely used of the four types, they are equipped with a microphone to capture any sounds made from baby’s nursery and uses a transmitter to send sound signals to the receiver, which is in close proximity to the parent or caregiver. This device permits those supervising baby to hear when baby awakes or if baby is crying or if the baby is in distress without being within immediate proximity of the child. These monitors are likely to be battery operated with multiple receivers for portability throughout the home. For those parents or caregivers who want more information than just mere sound, the baby video monitor or “baby cam” provides extra peace of mind. In addition to a microphone, the baby video monitor includes a surveillance camera or cameras that transmit images to a receiver, which can be a portable, dedicated LCD screen, a television or a computing device like a tablet or laptop. Video baby monitors outfitted with night vision capability use photosensors that automatically switch to this mode as a baby’s nursery darkens. Models with extra features may incorporate built-in nightlights, ultra-high picture resolution, room temperature sensors or programmable lullabies. Instead of transmitting baby’s sounds or images, a baby motion monitor is used to detect baby’s movement in the crib. A sensor is placed under the mattress of baby’s crib. As babies move nearly continuously while asleep, the monitor tracks baby’s movement. Should baby not move after 20 seconds from the previously recorded movement, the receiver sounds an alarm. More advanced models can also to detect baby’s breathing and crying. Baby motion monitors are frequently used for premature babies and those with health issues. Many parents, mindful of Sudden Infant Death Syndrome (SIDS), will use these tools to track baby while sleeping. Even before baby’s birth, many parents want to hear heartbeats, hiccups and other prenatal sounds from the mother’s womb. A prenatal sound monitor is placed over the mother’s belly. The listener uses earbuds to hear the sounds baby (or the fetus) makes from the womb. Many models have a recording option so parents may save the sounds for posterity or keepsakes. It should be stressed that these devices are not intended for diagnostics or any other medical purpose. For many parents, the price is no object when it comes to the health and safety of their children. Therefore, they want the “best” baby monitor money can buy. However, what’s best for one home and baby may not be appropriate for another. With the choices available on the marketplace, parents can find a baby monitor loaded with all the features needed to customize an application ideal for their specific needs. Some deluxe models enable two-way communication so the parent or caregiver can verbally soothe and comfort baby without journeying into the nursery. Some parents may want to record and store images and sounds of baby’s surroundings and caregivers’ actions (think “nanny cam”) for an extra level of security and surveillance. There’s even the capability of monitoring multiple cameras from one hand-held receiver; this technology is compatible with standard wireless security cameras. The latest innovation in baby monitors is a smartphone app for iPhones and Androids that facilitates wireless surveillance of baby. Monitor a camera-equipped device such a tablet, smartphone or laptop with a smartphone app. Or with wi-fi, the caregiver can simply use a wi-fi modem to transmit video images from a surveillance camera to a personal computing device or wi-fi equipped LCD monitor or TV, thereby eliminating the use of a smartphone or similar item in the nursery. Older model monitors used power cords, making the receiver stationary, and limited caretaker mobility to one room. Nowadays, most monitors are equipped with a wireless, battery-powered receiver with a LCD screen. Its small size (many fit comfortably into one’s pocket) allow the caregiver to carry the monitor throughout the home yet still be vigilant to a baby in the nursery. Be aware that radio interference can degrade the quality of the transmission between monitor and receiver. To eliminate this possibility (and improve security) choose monitors with Digital Enhanced Cordless Telecommunications (DECT) 6.0 signaling. Originally developed for cordless phones, this technology is ideally suited for baby monitors. Many parents are blessed to dwell in a large, comfortable home. Some live on larger-sized properties or apartment complexes. For these parents, the transmission range of a baby monitor is definitely a consideration. Monitors are available that transmit up to 2,000 feet without interference, permitting the caregiver the freedom to move without worry anywhere in the home or garden and yet still be within the range. A low battery light is essential for wireless models. If the batteries of your baby monitor suddenly deplete overnight, a baby may be exposed to several hours without parental monitoring. A low battery indicator on the receiver unit will warn caretakers that battery power is weakening before the monitor shuts down. Look for models with power-saving sound activation; this option sends the monitor into standby mode if no sound is detected. Also handy is a silent or vibrating option, useful when excessive noise hinders the caretaker from keeping a close eye on the receiver unit. Should one be vacuuming, working outdoors or immersed in a raucous environment, a receiver can vibrate to indicate that the monitor senses sound from the baby’s nursery. No one wants to miss baby crying because the TV or stereo is on. Another convenience is lighted models. 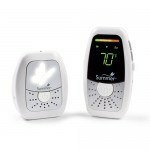 When a quiet atmosphere is required, the receiver can indicate via LED displays the emanation of soft, moderate or loud sound levels from the baby’s nursery. Many parents find it much more convenient to use visual alerts instead of audio for monitoring baby’s activities. 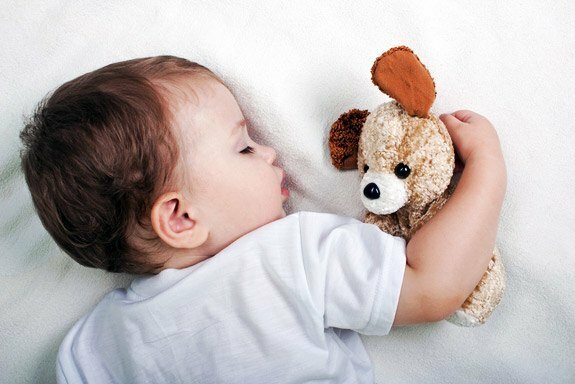 Depending upon how noisy or quiet a child is when sleeping, an adjustable sensitivity control allows the caretaker to regulate sound levels to accommodate baby’s sleeping habits and decrease the chances of false alarms. Raising children has always been a challenge. Today, with so many more demands on our time and the emphasis placed on multi-tasking, it’s all but essential to have virtual eyes and ears on our youngsters for their safety and security and our peace of mind. Baby video monitors allow parents and caretakers the freedom to undertake other duties in different areas of the home while remaining vigilant to the children’s activities in the nursery, bedroom or play area. A baby monitor with camera is especially beneficial for “preemies’ or the child with serious medical or health conditions when continuous surveillance is needed. Today’s video baby monitors do much more than watch and listen. Available options include room temperature monitoring, IR (infrared) LEDs to “see in the dark” and Wi-Fi, video recording and Skype capabilities, just to name a few. Most models include “parent talkback” so that the caretaker can soothe baby without walking into the nursery. Some are so-called “3-in-1” monitors with video, audio and sensor pad capability. We’ll take a look at the features available on the latest and most popular models of the top rated baby monitors later in this article. Why should parents consider a video baby monitor? There are a number of advantages, not least of which is the peace of mind one gets from actually observing one’s child. 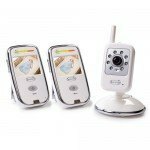 Baby video monitors save the parent or caretaker from having to physically walk into baby’s nursery or the toddler’s playroom when an unfamiliar noise can be cause for alarm. A mere glance at the monitor’s receiver can reassure the parent without chancing the possibility of spooking baby from a nap or play. From the comfort of one’s recliner or bed you can watch baby breathe and look for any potential hazards before they occur. With parents’ well-founded awareness of Sudden Infant Death Syndrome (SIDS), a baby monitor with camera permits more periodic surveillance of naps, particularly those brief and frequent snoozes that baby (and parents) need. And if baby drops a pacifier, traps a limb in the crib or somehow loosens swaddling, the caretaker will be alerted even while the child slumbers. Thanks to today’s technology, parents who work or travel away from home can monitor their children by using the web. Smart devices can stream video across the internet and allow two-way communication between distant locations so parents can keep current with baby’s activities or sing a lullaby to serenade baby to sleep. 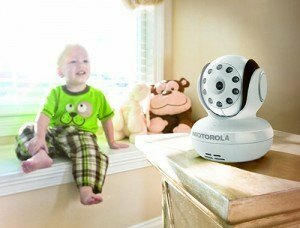 With the multi-camera functionality of some models, baby video monitors can also serve as a “nanny cam,” allowing parents to keep tabs on the caretaker or nanny while they’re shopping or out for the evening. Other uses for video baby monitors include sleep training for toddlers and surveillance of older children. As many toddlers find it difficult to sleep without a parent present, a video monitor can reassure caregivers that, despite the caterwauling from the crib, the child is actually safe and needs sleep rather than attention. This use alone gives a video monitor a leg up over traditional audio monitors. Too, transitioning older children from the crib to a bigger child’s bed can be an ordeal. Instead of staying in bed for sleep, older children are wont to repair to the playroom or make a visit to their parents’ bedroom. With a video monitor, children can be detected the moment they crawl out of their bed and before venturing down the hall — thus taking the fun out of wandering around the house unsupervised. Of course, nobody wants a second-rate baby video monitor for their children. With all the features available on today’s models, parents can customize applications for their home and baby’s needs. Many parents may find the plethora of options bewildering. For example, what does “A/V (audio/video) output” or “VOX” (voice operated transmitter) mean? What do these features do? What’s the difference between an analog and digital monitor? 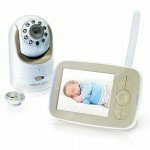 More importantly, how can I customize the “best” baby video monitor for my home? Thus, the parent should “mix and match” these options when choosing a model that best serves baby’s needs. Some of these options are indispensable. A baby video monitor that doesn’t have IR night vision will be useless without sufficient ambient lighting and who wants to keep a room’s lights on just to use the baby cam? Another necessary feature is the “Low Power Indicator“ — no parent wants to leave baby unprotected for potentially several hours before discovering that the unit’s battery was depleted. With hired caregivers or nannies, video recording may be needed for insurance purposes. If the home is in a densely populated urban area, a digital monitor will most likely be needed, as it uses encrypting technology. An analog video baby monitor is prone to intercepting signals from other devices that use analog signals, such as other video monitors or cordless phones that share the same 900 MHz (typically) frequency. (Digital monitors usually use 2.4 GHz wavelength.) It’s conceivable that a criminal could set up an analog monitor to capture the video feed from your home! The point is, a great deal of thought should be given when customizing the video baby monitor’s applications for one’s individual environment and situation. Many parents give strong consideration to brand value and indeed there are a number of online sources that rate manufacturer’s video baby monitors based on price, features and product support. Some trusted names in the industry include Withings, Angelcare and Levana. While all manufacturers make video baby monitors that have at the very least cameras, transmitters and receivers, there are critical differences between various models concerning video and audio specifications and capabilities, product design and customer support. In short, the best video baby monitors provide all the elements necessary to make parents or caregivers feel as though baby is sharing the same room with them. Monitors allow the parent to observe baby from a number of camera angles and in a variety of lighting conditions. They use two-way “parent talkback” to soothe and assure baby when needed. And they provide certain diagnostic features like low battery indicators, out-of-range indicators and brightness/contrast controls to further assure baby’s comfort and security. Montreal-based Angelcare is a purveyor of a variety of products aimed at juveniles, children and infants. 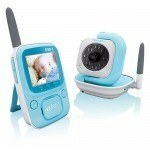 Currently the manufacturer offers 15 baby monitors including three models with video capability. 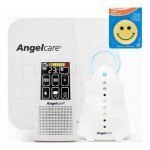 The Angelcare AC1100 is a three-in-one (video, sound and sensor pad) model while the AC1120 is a video and sound monitor and the latest offering, the AC1200, is an upgrade over the AC1100. The AC1200 comes in the wake of the disappointing reception the AC1100 received from industry observers. Baby Gear Lab, a leading baby products review website founded by a mother who happens to be a pediatrician, gave the AC1100 three out of five stars when it hit the market in early 2012. While noting the “gobs of features” and excellent sound quality of the monitor, BG Lab groused that “the functions offered actually work much better in products with more focus.” By contrast, BG Lab gave Angelcare’s Deluxe Movement and Sound monitor (AC401 Deluxe) their “Editors’ Choice” award. Criticisms include the fact the AC1100 has a small screen and only middling image quality. Moreover, the AC1100’s camera has no pan/tilt, no wall-mount option and no additional camera support. 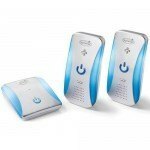 However, a number of websites including celebbabylaundry.com, coolmomtech.com and Pregnancy & Newborn (pnmag.com) have given the AC1200 glowing reviews. 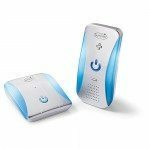 The most important difference the AC1200 has over its predecessors is the smartphone and Wi-Fi features available through the downloaded Angelcare app. It works with both iOS and Android platforms. Note that AC1200 has internal communication via a Wireless Access Point, in effect making the nursery transmitter a router. Thus, no internet connection is needed. 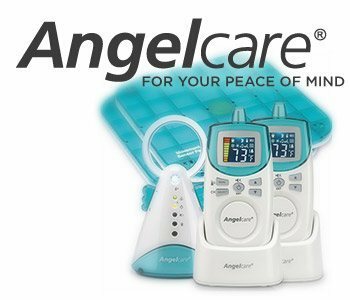 Founded in 1997 by Maurice Pinsonnault, who currently serves as president of the company, Montreal-based Angelcare markets a variety of juvenile-oriented products including a portable “playyard” (playpen), bassinets and of course angel baby monitors. They also sell a highly recommended wooden board accessory that helps to properly install a movement sensor pad on a rigid surface. Their products, which vary by availability and price, can be purchased at brick-and-mortar outlets like WalMart, Target and Sears as well as from online retailers like Amazon, Baby Earth, Monitor Your Baby, diapers.com and others. One factor to note is that while the upscale Angelcare models have the latest refinements such as tilt and zoom and a “letterbox” vertical view for better observation of baby’s crib, only the AC1200 has the smartphone app for streaming video of baby across the internet. Other features unique to AC1200 that separate it from its lesser brethren include the capability to expand to four simultaneous users on the same camera, lullaby music streaming to soothe baby, photo/video of baby’s images and the convenience of a USB power source. Important — note that the Angelcare movement monitor’s sensor pad can be used with any standardized baby mattress regardless of size or thickness. But it cannot be use with a memory foam mattress, a dual-sided mattress, a mattress with a hollow frame or a Purflo® cot mattress due to its hollow core. 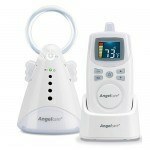 Below are Angelcare monitors by model listing main features and brief descriptions by Eva Baby Gear. The AC201-2P includes two portable “parent units” as opposed to only one for the AC201. Attractively designed, it combines a sound monitor and highly sensitive movement detector in a unified system. Sounds an alert within 20 seconds if no movement is detected from baby’s crib. Optional Audio “Tic” Feature — by activating this feature the caregiver will hear a “ticking” sound, confirming that the monitor is working normally when baby is asleep. Adjustable Movement Pad Sensitivity — allows caregiver to select an appropriate movement sensitivity level. 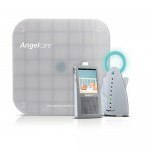 This Angelcare movement monitor is useful for two babies, twins or triplets sleeping in separate cribs in the same room. Compatible — can be used in conjunction with any Angelcare sound monitor or any other sound monitor. 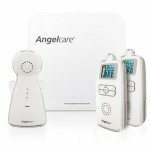 Ideal for Multiple Babies — Angelcare recommends adding the AC300 to the AC401, AC1100 and AC601 Movement and Sound Monitor models if there is more than one baby to monitor in the same room. Winner of numerous awards including the Practical Parenting Best Buy, the P&B Editor’s Choice, the ‘FQ’ magazine Top Gear award and the Baby Gear Lab Editors’ Choice award. The AC401 Deluxe comes with two portable Parent Units and a “Parent Unit” locator in case unit is misplaced. The AC401 Deluxe Plus includes all the features listed below plus an extra under-the-mattress sensor pad. Important: Note that the Deluxe Plus model is designed for one child only as both sensor pads are connected to the same circuit. Hence, alarm does not sound if movement is detected by just one sensor pad. Full Color Digital Display — displays nursery room temperature, sound lights and various user settings such as sensitivity level. Temperature Display and Control (F°)– see above. Displays room temperature and alerts caretaker if temperature is too high or low. Portable & Rechargeable Parent Unit — compact enough to carry from room to room. Nursery Night Light — “a gentle little glow” that guides the caregiver when entering baby’s nursery. Crystal Clear Transmission — the monitor operates on the 927 MHZ and 2.4 GHz frequency bands. Out-of-Range Indicator — indoor range between 262 feet (80 meters) and 328 feet (100 meters; outdoor (open field) range up to 820 feet (250 meters). An alert notifies the caregiver when the Parent Unit is too far away to receive baby’s sounds and movements from the Nursery Unit. Sound Lights — allows caregiver to see and hear baby’s sounds. Batteries or Adapter Operated — automatically converts to battery mode in case of power failure. Parent Unit operates with three NIMH rechargeable batteries or AC adapter; Nursery Unit operates with four AAA alkaline batteries (not included) or AC adapter. Volume Control & Vibration Alert — vibration mode option for noisy environments or to maintain peace and quiet. Available on Deluxe and Deluxe Plus. The AC403 and AC403-2PU are the same product; the only difference is that the latter comes with two Parent Units instead of one. Crystal Clear Transmission — operates on 927 MHz and 2.4 GHz frequency bands. Out-of-Range Indicator — up to 820 feet (250 meters) in open field. Batteries or Main Adapter Operated — battery power makes ideal option for travel away from home. The AC605 is essentially the same product as the AC601 except that it comes with two Parent Units instead of one. The AC701 includes innovative features like the adjustable night light remote-controlled from the portable Parent Unit and the low-emission “Eco” mode. LCD Touchscreen — adjustable settings via user interface on touchscreen. 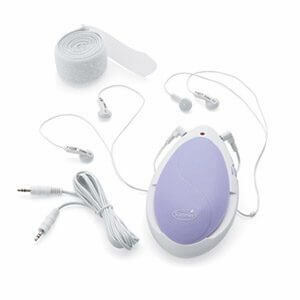 2-Way Talk-Back Feature — walkie-talkie feature allows caregiver to vocally soothe baby. Digital Transmission with Minimized Interference — utilizes 1.8 GHz with automatic FHSS (Frequency-Hopping Spread Spectrum) technology that alternates between different channels, virtually encrypting data for greater security and privacy. Multifunctional — works on movement and sound, sound only or movement only. It was previously noted that American R.J. Spurrier of Baby Gear Lab described the AC1100 as having functions that “actually work much better in products with more focus.” On the other hand, this product won the United Kingdom’s FQ Top Gear Gold award for 2010 and the Bizzie Baby Gold Award. It also won the Bronze award from ‘Mother & Baby’ magazine’s “expert panel” in Australia. This product receives glowing reviews from parents but typically they don’t have the resources to compare all baby monitors available (an expensive endeavor, to be sure). Spurrier notes that the AC1100 has only a fraction of the range of the award-winning AC401 and opines that “the video capability performs poorly relative to competing video monitors.” For example, the 2 ¾ in. monitor screen is smaller than the more-or-less standard 3 inch screen used by most Angelcare competitors. LCD Touch Screen — adjustable settings via user interface on 2 ¾ in. touchscreen. 2.4 GHz Digital Transmission with Minimized Interference — utilizes 2.4 GHz with automatic FHSS (Frequency-Hopping Spread Spectrum) technology that alternates between different channels, virtually encrypting data for greater security and privacy. Out-of-Range Indicator — up to 650 feet (200 meters) in open field. Zoom In / Zoom Out — see baby up close, even from a distance. 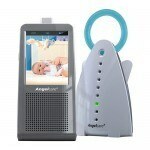 Adjustable Camera Angle — position Angelcare video monitor for the perfect view and safely away from baby’s reach. Timer — helps caregiver keep tabs on baby’s sleep, time awake, feeding, etc. The AC1120 is essentially the same product as the AC1100 without the movement monitor. 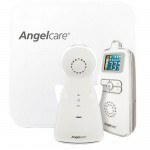 The latest and greatest from Angelcare, the AC1200 is an award-winning, three-in-one video, audio and movement sensor monitor combining the most innovative features from earlier models while adding new functionality to this flagship product. Gripes: the manual emphasizes maintaining a distance of three feet between the crib and monitor, yet the electrical cord is relatively short. Unfortunately, camera video and audio are not available while the camera runs on batteries. Only movement monitoring and alarms work on battery power. The breakthrough feature: An app for smartphones or personal computing device to stream two-way communications between parent and baby over the internet. 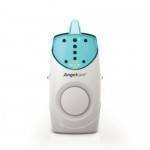 The Angelcare app for the AC1200 is available for iPhone, iPad, and Android based smartphones and tablets. Internal Communication via Wireless Access Point (WAP) — no internet connection required at home. Up to four simultaneous users on the same camera — up to four can view baby from anywhere in the world with an internet connection. For security and privacy, each user has an individual connection (no party lines!) and requires parent or caregiver consent to stay connected. Secure configuration for better privacy — uses QR scanning and “quest management” for a secure connection to Wi-Fi. Play lullabies – stream lullabies to baby from a smartphone. 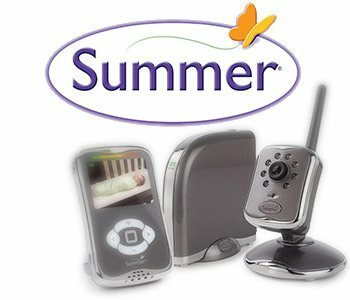 In business for over 25 years, Summer Infant (named after the founder’s daughter) sells a panoply of baby products “from the crib to the bathtub and everywhere in between.” Their comprehensive baby monitor products include models with internet, video, audio and prenatal monitoring capabilities. One of their products, the Baby Touch® 2 Digital Color Video Monitor, ranked #10 in toptenreviews.com ‘Best Baby Video Monitor Reviews and Comparisons.‘ Top Ten Reviews noted that the Baby Touch 2 allows the parent or caregiver to automatically follow baby’s movements with motion tracking and compliments the model for its user-friendly touch screen interface and temperature gauge. On the other hand, it has no VOX capability to extend battery life; this means that the battery stays active even when there’s no action to follow. But the battery life in the Baby Touch models last as long as 10 hours. 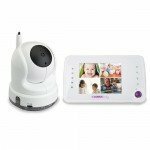 The Baby Touch 2 has many in-demand features like pan, tilt and multi-level zoom capabilities as well as two-way talk and a wall-mounting option. Top Ten Review’s verdict? 8.73 out of 10. Summer Infant traces its corporate history back to 1985 in Rhode Island when William Lockett III wanted a safe method of soothing his infant daughter Summer and noticed that she would become calm as he bounced her in his arms. From such inspiration came his first brainchild, the original Bouncy Seat, a product now so ubiquitous that most baby gear companies have duplicated a “bouncy seat” for their own merchandise lines. In the years following the introduction of the Bouncy Seat, Summer Infant saw spectacular growth as the company racked up ~$10 million in annual sales during the middle of the next decade. However, Summer Infant fell on hard times by the end of the century and sales shrunk to just over $1million by 2001. Enter Jason Macari, the former CEO of Summer Infant, who discovered the company while VP of Product Development and General Manager of Safety 1st Inc., a maker of child safety products such as car seats, high chairs and strollers. Looking to run his own business, Macari bought the company and, with his experience in the industry along with his mechanical engineering degree and MBA, began developing patented products for Summer Infant. Macari also improved the company’s bottom line by shifting manufacturing to China. The company is now a leading designer, marketer and distributor of health, safety and wellness products for infants and toddlers, totaling $250 million in sales. Summer Infant products can be found at Target, Babies R Us, Amazon and Home Depot, with company divisions now in Canada and the United Kingdom. Macari stepped down as Summer Infant CEO earlier in 2014 but remains with the company as consultant and director. Remember this safety precaution: all monitor manufacturers including Summer Infant stress the importance of keeping all cords and camera at least three feet away from baby’s crib. Not only is the electrical cord a strangulation concern, a distance of three feet or one meter optimizes the camera’s picture quality. Also note that all Summer video monitor systems can support up to four cameras simultaneously. The unifying quality among all of these products is of course their internet capabilities. Other features common to these items are the inclusion of hardware wall mounting kits, AC adapter cords and security clips for securing power cord to walls or furniture. For those products that have monitors, one 3.7V rechargeable lithium/ion battery is included. 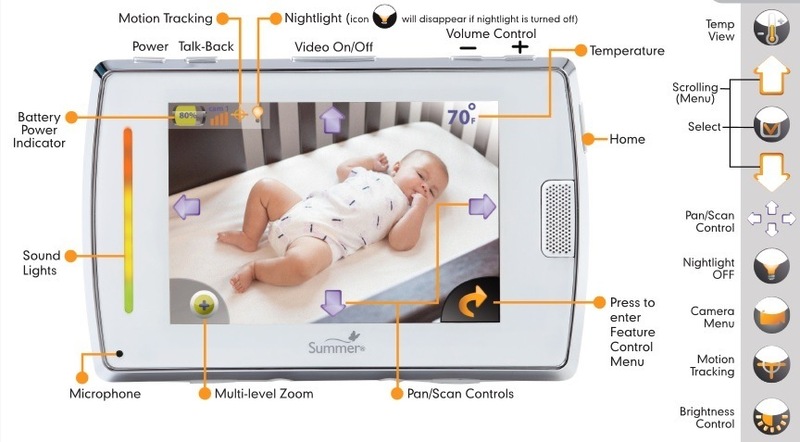 Some standard features on Summer video baby monitors include a 3.5 inch color touchscreen, a kick-stand recharge base, a belt clip for portability, remote brightness, motion tracking and volume controls and a video on/off button. 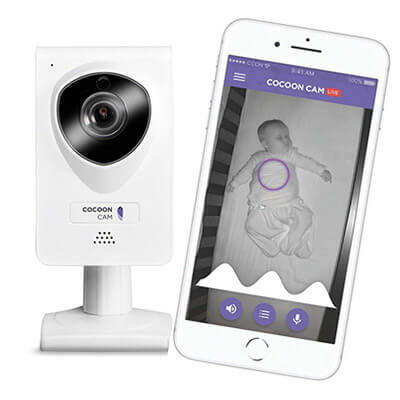 Both the Connect Internet Baby Camera Set and the Peek Plus Internet Baby Monitor System include a gateway for internet connectivity. The Summer baby monitor supports multi-platform computer architecture for iPhone, iTouch, iPad, Android and Blackberry with Wi-Fi apps available from Google Play and iTunes. A brief glance shows that all these models are virtually identical; the only differences are that (4) Baby Touch Plus has a nightlight on the camera while the others do not and (9) Baby Touch Boost has a temperature sensor while the others do not. The verbiage in the manuals may be slightly different but all other functions are the same. Thus, as the last image depicts, the (8) Baby Touch 2 is the deluxe model of all four, combining features from the lesser three versions while including flourishes like motion tracking, multi-level zoom and a feature control menu (as opposed to menu bars). However, (16) S&S 2 has a Pan/Scan camera capability while (1) Plus does not. As one readily discerns, Summer Infant has numerous models with a high correlation of similarities in this category. It is up to diligent parents to sift through the manuals to find the right product for their baby and their home situation. 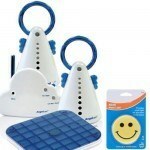 The prenatal Summer Infant baby monitor is the Heart to Heart Digital Prenatal Listening System. See manual here. Note that it is not a medical device and should not be used for diagnostic or any medical purposes. It does not substitute for a physician’s prenatal care. This monitor can begin detecting baby’s heartbeat at the beginning of the third trimester or about 28 weeks. It comes with a sensor unit, ear buds and a positioning belt. Summer Infant is a well-known and entrenched player in the child consumer products industry. While it has a fairly respectable reputation, it’s certainly not purveying the highest rated baby monitors. For example, Baby Gear Lab’s R. J. Spurrier calls Baby Touch a “solid perform(er)” but claims the similarly-priced Motorola Digital Video monitor “outperforms” the comparable Summer Infant model. Rob Pegoraro of ‘PC Magazine‘ says of the Baby Touch system that its baby monitor and webcam “does neither job all that well” and prefers the Withings Smart Baby Monitor. However, newegg.com gives the Baby Touch Boost four out of five stars while babygoespro.com rates the Baby Touch at 4½ out of 5 stars. The skinny? Baby Gear Lab’s Spurrier evaluates the Baby Touch as having good image quality, above average range and easy to use with great pan/tilt/zoom. On the other hand, it has no sound activation and relatively few features. He deems it a good baby video monitor but not a great one; user reviews on the Baby Gear Lab web page are not nearly as sanguine. One of the upscale Summer Infant video monitor models will cost in the neighborhood of approximately $250. One of the best-known South Korean multinational conglomerates in the world, Samsung of course is involved in all sorts of businesses from electronics to shipbuilding to insurance to advertising. They make a line of quality baby monitors; one of particular note is the SEW-3037. 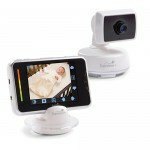 This model was ranked #7 in toptenreviews.com ‘Best Baby Video Monitor Reviews and Comparisons,’ meriting 9.13 out of 10. 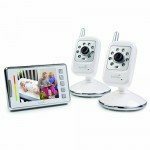 It has many desirable features found in most of the leading baby video monitors including a two-way talk feature (“parent talkback”) and has pan, tilt and zoom capabilities. Like all the SEW-303 models, it has 2x zoom but no additional focus. Yet it can be wall-mounted and expandable to four cameras. It also has the handy VOX feature that sends the monitor into sleep mode, conserving battery power. Other models in the series include the SEW-3034, 3035 and 3036. Founded in 1938 by Lee Byung-chul as a trading company, Samsung is now one of the world’s leading multinational business conglomerates and South Korean’s largest. Entering the electronics industry in the late 1960s, Samsung has of 2012 become the world’s largest information technology company as measured by revenues. It counts approximately 80 companies under its corporate umbrella. 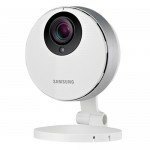 While a consumer electronics behemoth, Samsung is a relative late arrival to the niche baby video monitor market. 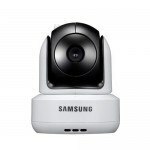 According to samsung.com, the electronics branch of the company currently manufactures only two video baby monitor models and a wireless baby monitoring camera. However, third party vendors apparently still sell legacy or discontinued Samsung baby monitor products, including audio monitors. The flagship product is the SafeVIEW Baby Monitoring System (SEW-3037W), ranked #7 in toptenreviews.com ‘2014 Best Baby Video Monitor Reviews and Comparisons’, earning a score of 9.13 from a possible 10. Other industry observers share similar impressions of the SEW-3037; babygoespro.com accords the product five stars out of five while topbestreviews.org rates it 4¼ stars out of five. However, consumers are a bit more critical. According to amazon.com customer reviews, the SEW-3037W (W for wireless) has an aggregate rating of slightly over 75%. Customers from toysrus.com gave the product four stars out of five, based on nine reviews. The reviews from WalMart customers were five stars out of five. 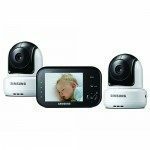 The Samsung SEW-3037W has nearly all of the bells and whistles most discriminating consumers expect today from a premium model video baby monitor. Advanced features include an infrared night vision camera with remote pan, tilt and zoom capabilities (300° pan, 100° tilt and 2x zoom) and visibility in darkness up to 15 feet (4.572 meters). The camera can also be wall-mounted. It includes 2-Way talkback audio, a built-in microphone and speaker with a VOX quiet mode filter and adjustable sound sensitivity that removes superfluous background noises. There’s even a remote-controlled nightlight built into the camera for baby’s comfort. The 3.5 inch color LCD display monitor has a total pixel VGA of 640×480 with 320×240 CIF resolution. The system transmits over a secure and static-free digital 2.4 GHz signal which extends up to 900 feet (274 meters). The monitor uses AC power and a rechargeable battery (parent unit only), a low battery warning and monitor LEDs with five sound level indicators. According to Karina Fabian of Top 10 Reviews, the monitor panel “looks and feels a lot like a smartphone.” There’s also a power-saving ‘Sleep Mode‘ that detects sound around the camera while the monitor screen is off. It has a convenient flip stand and belt clip. The system can be expanded to include up to four cameras. Sells on Amazon for approximately $200 and comes with a one-year warranty. 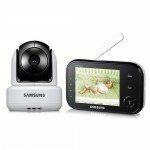 The only other baby monitor product Samsung currently sells is the SEB-1019R camera, which is the additional camera meant for the SEW-3037 should users need a replacement or choose to expand their current system. Available from Amazon and soltechsecurity.com for US$79. Also available from Amazon is the discontinued SEB-1014R Night Vision camera purposed for the legacy SEW-3034/3035/3036 models at US$99. Note that this “simplified” camera is not compatible with the SEW-3037W. For those looking for a version with virtually the same features and a lower price, the Samsung SEW-3036W is a good choice. The biggest difference is that this model’s camera lacks the PTZ (pan-tilt-zoom) capability of its more expensive brother. The system’s range is less at 800 feet (243.84 meters) and there is no built-in night light. At present an Amazon reseller has the model available at US$163; Amazon sells it for US$170. Note that Amazon customers rate the product at approximately 72%. There are gripes; users have reported that the system “overpowers” the home WiFi network and is susceptible to periodic “blacking-out” during night vision operation. 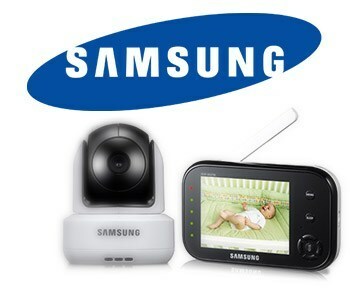 Both Target and soltechsecurity.com carry older legacy Samsung Video and Audio baby monitors. For example, Soltech has the SEW-3022 EzView for US$129 and the SEW-3036 for US$169. Note that the SEW 3034 and 3035 both come with a temperature sensor and an AV output (allowing connectivity between the video monitor and a TV), features that the 3036 and 3037 apparently lack. Moreover, the 3035 seems to be the only model with a USB port for Skype connectivity. 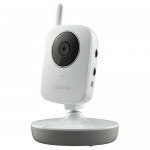 For those who require only an audio baby monitor, Target carries the Samsung Audio Baby Monitor and One Receiver for US$50. (Regrettably, Target does not include manufacturer model numbers, citing only an “Online Item # 13987305” and a “Store Item Number (DPCI) 030-04-0017.”) This audio monitor transmits on a digital 1.9 GHz digital frequency with a range of 900 feet (274.32 meters). The wireless receiver includes a belt-clip, a sound-activated light and an out-of-range- and low-battery-indicator. Weighing only a half pound (226.8 grams), the dimensions are 4.5 inches (11.43 cm) high by 2.75 inches (6.985 cm) wide by 1.5 inches (3.81 cm) deep. As is the wont of many mega-corporations, Samsung manufactures video baby monitors with built-in obsolescence (note the incompatibility of the 3037W camera with previous versions). The observant consumer will discern a gradual tendency toward “new and improved” models with more fringe features — and each succeeding model comes with a higher price tag compared to its predecessor. The hefty cost of the SEW-3037W would be easier to swallow if it had all of the features included in prior incarnations such as the temperature sensor and the USB port. Undoubtedly, the next “latest and greatest” video baby monitor model from Samsung will have all these features at an even greater cost. A relative newcomer to consumer electronics, the French company Withings specializes in designing internet-connected devices. 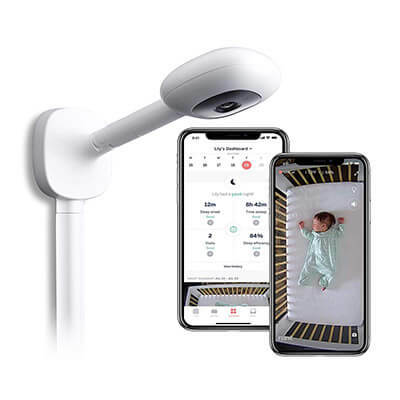 Naturally, their video baby monitor has Wi-Fi compatibility and connects to iOS/Android devices. They even have the “Health Mate Web” dashboard for the parent’s home computer or laptop. Per Top Ten Reviews, the Withings Smart Baby Monitor “is the best and most innovative baby video monitor out there.” Accordingly, it is their top-rated baby video monitor and recipient of the Top Ten Reviews Gold Award. They further gush that “this has one of the most feature-rich packages of any monitor” — high praise for a product competing in a very crowded field. It does everything one would expect; pan, tilt, zoom, video recording, screen snapshots and the list goes on. While it’s definitely a high tech device, the setup procedure is one of the easiest to be found. Mom or Dad can immediately begin monitoring after installing the Withings app on the smartphone. 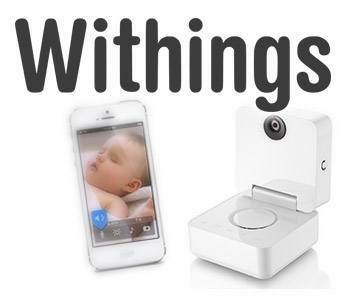 The Withing Smart Baby Monitor is perhaps the most flexible model on the market. So many settings are fully customizable. It has alerts for baby’s noise and movement as well as a unique night light that can be adjusted for color and brightness to suit baby’s preference. It even has a humidity sensor, a feature not to be found with any other monitor. Little wonder that Top Ten Reviews ranks it a 10. A French consumer electronics company based in the Paris suburbs, Withings was founded in June 2008 by three technology and telecom executives who wanted to design and market products featuring internet connectivity. It is a well-capitalized concern, having received $3.8 million in funding from Ventech in September 2010 followed by a $30 million capitalization from Bpifrance, Idinvest Partners, 360 Capital Partners and Ventech in July 2013. Their first product was the WiFi Body Scale, which measures both weight and fat mass and uploads data via wireless to the company’s site. Withings also has apps for evaluating the scale data for Apple iOs, Android and Blackberry PCDs. The company also makes a blood pressure monitor. At the January 2011 Consumer Electronics Show in Las Vegas, Withings announced its intention to make a baby monitor compatible with smartphones and other connected devices. In Europe the Withings Smart Baby Monitor became available the following November; the product made its North American debut in February 2012. To its credit, while the Withings baby monitor is one of the most expensive monitors on the market, they manufacture and sell only one model. It has received lavish praise from industry observers, named as the best baby monitor by Australia’s ‘Reckoner‘ and Top Best Reviews and won the 2014 Gold Award from Top Ten Reviews. However, consumers as a whole have a decidedly lower opinion of the product. It only averages 3.2 stars of 5 based on reviews from Amazon. An aggregate of reviews similarly garners the Withings baby monitor three of five stars from Apple Store. At least once every one or two weeks the connection with the video feed will freeze, but instead of giving you a warning that the connection is frozen you will get a still image while the sound continues to work. So if the image freezes at a point when the baby is sound asleep and not moving you will continue to get this image regardless of what the baby is doing! My wife removed our baby from the crib and I was looking at the monitor and it continued to show me my baby sleeping in the crib! As both professional reviewers and parents are quick to note, the Withings Smart Baby Monitor has a panoply of eye-catching features that, if the product were reliable, would make it worthy of its partisans’ plaudits. Paul Banas of ‘Pregnancy‘ magazine touts the monitor’s “simple clean design” and recommends it for “smartphone users wanting lots of features in a small package.” Gordon Meyer praises the design as “inoffensive and minimalist,” saying that it “doesn’t make you feel like you’re running a peep show.” Another positive aspect of the Withings is the fact that the monitor doesn’t need a computer to be commissioned, as it is easily configured with an iPhone using Bluetooth, allowing easy portability and connectivity to local WLANs. Note that the Withings Smart Baby Monitor does not come with its own stand-alone monitor; a smartphone or tablet must be used for video reception from the camera. Not to be overlooked is the hefty price: the product sells for about $250. As of this writing, Amazon has it available for $217.39 with free shipping. As the product is available for free returns from Amazon, one might consider evaluating the monitor based on its reported quality and Android issues. 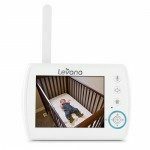 Levana’s Stella PTZ video monitor is a highly regarded product, as evidenced by a number of rhapsodic reviews from sources like Toys ‘R’ Us and Staples. Top Ten Reviews compliments Stella’s 4.3 inch screen, significantly larger than most other video baby monitors, its clear, high-res image and its screen and multifunctional remote scanning. Like other deluxe models, Stella has remote pan and scan capabilities. Its expansive 750 foot transmission range is among the strongest of its competitors. Thus Top Ten Reviews deems it among the top-rated video monitors available, placing it #9 in the ‘2014 Best Baby Video Monitor Reviews and Comparisons,’ and ranks it 8.8 out of 10. Using a name inspired by the Roman birthing diety, Levana was founded by Rajesh Jain, a video security expert and owner of Canadian-based SVAT Electronics. Jain started Levana in 2002 when he was dissatisfied with the sound quality and range of his niece’s analog baby monitor. Today the company manufactures and markets highly regarded audio, video and movement monitors for infants and small children. Both Top Best Reviews (for the Jena 32111 model) and Karina Fabian of Top Ten Reviews (for the Stella PTZ 32018 model) award Levana high ratings; Levana products fare similarly well when rated by Amazon reviewers. There is an exhaustive list of Levana baby monitors currently for sale at their website — note that the company mixes and matches video, audio and movement monitors to be sold as separate products. 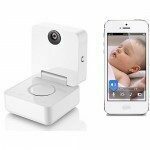 For example, the Ovia PTZ Baby Video Monitor is also sold as the Ovia with Oma+, combining baby video monitor and movement sensor. Levana also sells accessories for their products including additional cameras, charging cradles, wireless camera dock and power adapters. Concerning the Ovia with Oma+, it is the priciest model in Levana’s line of high-end products and thus is worth examination as it contains most of the features aggregated from the company’s less inclusive monitors. The Oma+ is a movement sensor that stays in constant contact with baby as it clips snugly to the child’s diaper. This innovation is highly preferable to most other movement sensors that are under-the-mattress monitors which are more likely to register false alarms. Should the sensor detect complete stillness from baby for longer than 15 seconds, the monitor will gently vibrate against baby’s tummy to stimulate the resumption of regular abdominal movements. Then, if no movement is detected for more than 20 seconds, a noticeably loud alarm sounds that attempts to arouse baby while alerting the caregiver that the child requires immediate attention. The movement monitor also can detect weak and irregular abdominal movements; should abdominal movement occur less than eight times per minute, the movement indicator flashes an orange light and a different warning tone sounds. Note that this default feature of the sensor can easily be disabled. For safety reasons (i.e., strangulation hazard), safety experts stress that no wires or cords be within three feet of baby’s crib. Thus Oma+ is completely wireless with convenient indicator lights and reliable, long-life battery power. Ovia, the video camera/monitor part of the product, comes with a large 4.3 inch (10.16 cm) color LCD 860×480 resolution quad screen and touch panel controls. The dynamic screen icon menu facilitates easy setup and customization of the monitor. Ovia‘s PTZ (pan/tilt/zoom) remote-controlled camera has 270° horizontal pan adjustability, 110° vertical tilt and 2x zoom magnification for comprehensive coverage of baby’s crib and nursery. The wall-mountable camera also features built-in photo and video recording with a micro SD card included for data storage. Transfer to computer is easy with the SD adapter or play back photos and videos instantly with the parent unit. The Ovia monitor has a 24-hour rechargeable battery life with the power-saving PEEP (Power on/off Energy Efficient Picture) which lights up the monitor screen when baby makes noise. Oddly enough for such a feature-laden product, the Ovia with Oma+ inexplicably has no room temperature sensor, no programmable feeding timer and no nightlight (offered on the Levana Melody audio monitor; see below). Some may grouse that the PTZ camera only has 2x zoom magnification whereas some competitors offer a camera with 4x magnification. For those parents content with just the capabilities of a digital audio monitor, Levana offers the Melody. This is a five piece product that includes one baby unit, one parent unit, one parent unit recharging base, two power adapters and assorted mounting hardware. The portable and rechargeable parent unit has a range of up to 2,000 feet (609.6 meters), two-way talkback intercom, temperature monitoring, three popular lullabies, a programmable feeding timer, a soothing nightlight and a handy LED flashlight built into the parent unit. The Melody also includes an energy-saving ECO mode and VOX (voice activation) technology that puts the system into hibernation mode when sounds are not detected. It has out-of-range warning and low battery alerts, LED volume levels that permit the caretaker to monitor baby’s sounds silently and an integrated belt clip and wall mount. As noted previously, reaction to Levana’s products is almost uniformly favorable. While rosy testimonials at the company website are to be expected, customer feedback from retail customers is generally positive as well. 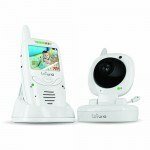 Baby Goes Pro lauds Levana’s Jenna 32111 Baby Video Monitor, calling it “a good deal for parents.” Some consumers have reported problems with battery life and charging, video quality, static/interference, poor transmission and night vision issues but most seem to consider it a good value. Some of the “pros” users mention include the Levana monitors’ simplicity to set up and use, the number of features they offer and their clear and extensive signal range. 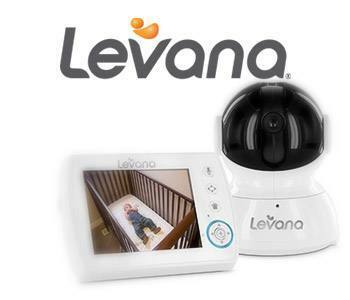 Levana baby monitors are available online from the company website and on Amazon. They’re also found at Bed, Bath & Beyond, Toys ‘R’ Us, WalMart, Best Buy and Target retailers and can be ordered online from these establishments as well. Levana offers a one year warranty on their products and lifetime customer support as well as replacement parts including the Oma and Oma+ battery. Another Canadian company, Lorex sells a wide variety of video surveillance systems with an established presence in retail stores across North America. Lorex Baby Monitors sells three model lines: “Sense,” “Sweet Peek” and “Care ‘N’ Share.” The model line surveyed here, “Live Sense,” rates #8 in Top Ten Reviews’ 2014 Best Baby Video Monitor Reviews and Comparisons. Among its standout features include a built-in lullaby library and remote temperature monitoring. It has Wi-Fi and Skype capability, making it ideal for parents who travel away from home. It even includes a micro SD memory card for recording video and two-way “parental talkback” so parents can pacify baby no matter where they might be. With this and many more features found in leading brands, Top Ten Reviews rates it 9.1 of 10. Acquired by FLIR Systems of Portland, Oregon in December, 2012 for a reported $60 million, Lorex Technology is an Ontario-based pioneer in DIY video surveillance systems and a purveyor of video surveillance products for security system integrators, including Lorex baby monitors. No doubt FLIR coveted Lorex’s (namely the Lorex and Digimerge brands) distribution network of merchants such as Amazon, Best Buy, Costco and niche wholesalers specializing in large-scale security applications. The acquisition appears to be a good fit for FLIR’s self-described core business of designing, manufacturing and marketing of “sensor systems that enhance perception and awareness,” particularly in thermal technology and imaging. Lorex markets a variety of top shelf video baby monitors that offer next-generation wireless technology with a panoply of features consumers have come to expect from the latest models. They sell «Sense,» «Sweet Peep,» «Starlight» and «Care ‘N Share» Series Video Baby Monitors. Portable Handheld LCD Color Monitor. A wider viewer screen than many of its competitors. Remote Connectivity Capability. By using the free downloadable app for a PCD or tablet, one can view their child at home from anywhere in the world with a WiFi connection. Supports a PTZ (pan/tilt/zoom) Camera with Motion Tracking. Motion tracks a child’s movements so that the camera automatically follows the child across the crib or the nursery. Snap ‘n Share Technology. Easily snap still photos of a sleeping child and store images in the computer’s file system for later viewing. Sleep & Soothe Sounds. The built-in speaker plays back tranquil sounds from nature that relaxes child while enhancing a sense of calm in baby’s crib. Crystal Clear Night Vision. When baby’s nursery is dark, the system provides a “clear-cut” video feed in black and white with infrared LED technology. Video On/Off. Turn off video feed and use unit as audio monitor to extended battery life. Two-Way Talk. A built-in, high-sensitivity microphone allows parents to soothe baby from across the house or across the world. Room Temperature Sensor. Gives quick summary of temprature changes in nursery. Four Room/Angles Viewing. By purchasing additional cameras, caregivers can monitor up to four separate spaces simultaneously or position four cameras at different angles in the same room. Up to 450 feet (137 meters) Wireless Range. Digital audio and video feeds from across the home and beyond to the surrounding yard. Up to Eight Hours of Battery Life. Readers shouldn’t be surprised to learn that the Care ‘N Share Model BB4325X receives mostly rhapsodic reviews on the company webpage. What few complaints are to be found include observations that the Lorex overwhelms local WiFi networks with static and interference (e.g., network strength drops from ~16 meg to <1 meg) and has a drastically reduced range after only a short time in service. Many users have discovered that other baby monitors have significantly longer battery life than the eight hours provided by the BB4325X. Others have noted that none of the Lorex cameras have mounting hardware for wall installation. Should the parent conduct a thorough search on competing video baby monitors, it will be discovered that the Lorex baby monitors have a relatively paltry transmission range of 450 feet (137 meters); some competitors have a range twice as far. Top Ten Reviews considers the Lorex Live Sense Series one of the best available on the market; however, it has a smaller monitor (3.5-inches) and a shorter, four hour battery life compared to the BB4325X. Karina Fabian of Top Ten Reviews is quick to note the short battery life of the Lorex and suggests using the AC charging dock for overnight and long-term monitoring. She also reports that a common complaint of the Live Sense Series monitors is that the sound quality is found lacking, even when the monitor is at full volume. Note that some of these models refer to cameras only. This model series is distinguished by the size of the LCD monitor (2.4-inches) and monitor battery life (e.g., 8 hours with video/12 hours audio only mode for BB 2411, BB2411T and LB211; 6 hours with video/10 hours audio only mode for BB2415 and LB215). Those shoppers who search Lorex on Amazon will find some steep discounts on selected products. For example, the older Care ‘N Share Series BB3525, the Sweet Peek Series BB2411 and the StarBright Series BB7011 are all virtually half off listed retail prices. Speaking of the BB7011, this is also a new addition to the family of Lorex baby monitors and features a whopping 7-inch screen on its monitor. On the debit side, the rechargeable battery lasts for only 1.5 hours, a huge disappointment for those who would otherwise like to have a monitor screen that is perhaps the largest currently available on the market. Despite these design limitations, Lorex baby monitors nonetheless receive high marks from Amazon and Best Buy customers. Some reviewers deems the Sweet Peek Series as possessing “superior imaging” and favors its comparatively small size of 1 by 5.4 by 3.7 inches (2.54 by 13.72 by 9.4 cm). Lorex also sells accessories such as extra cameras, AV (audio/video) cables for the Care ‘N Share Series monitor, an accessory stand and rechargeable camera batteries. There are also a number of informative videos on various Lorex baby monitors found on YouTube. From the world’s largest manufacturer of cordless telephones, Hong Kong-based VTech also markets a line of video and audio baby monitors. They offer two models — the VM333 Safe&Sound® Pan & Tilt Full-Color Video Monitor and the VM321 Safe&Sound® Full-Color Video and Audio Monitor. The VM333 has received enthusiastic reviews from babysavers.com and momcentral.com. 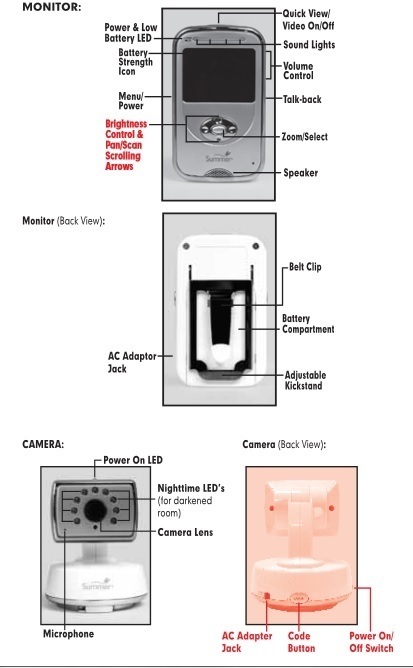 And for good reason — it has most all of the features found in other deluxe baby video monitors. Some may find fault with a 2.8 inch screen, smaller than most of its competitors, but the small screen is to be expected considering its overall compact size. The VM333 reputedly does an outstanding job at filtering out background noise until baby whimpers or cries. Given its feature package, it undoubtedly has earned a place among the top rated baby monitors. A publicly traded company based in Hong Kong, VTech started business as “Video Technology Limited” in 1986. Its first product was a home video game console. The company rebranded in 1991 as “VTech Holdings Ltd” in recognition of its diversified product lines. During the same year VTech unveiled the world’s first fully digital 900 MHz cordless telephone and in 2000 the company acquired Lucent Technologies’ consumer telephone business with exclusive rights for 10 years to market AT&T- branded wireless phones. Today VTech is the world’s largest manufacturer of cordless phones and supplier of electronic learning products (ELPs). Globally it ranks as one of the top 50 electronic manufacturing services providers, supplying a large variety of consumer electronic products under contract, branded for numerous SME businesses. 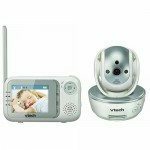 Thus baby monitors are but one of VTech’s many product lines. 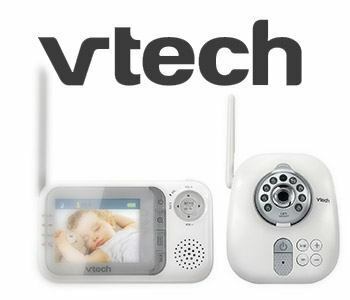 VTech baby monitors are available in both audio and video versions in essentially four models. Each model has a YouTube video that explains the functions and capabilities of the product. Note that the User’s manual is specific to VTech VM333/VM333-2/VM303 baby monitor models. The VM333-2 consists of one monitor (parent unit) and two cameras (baby units); the VM303 is the PTZ camera (baby unit) only. Winner of the 2013 Top Choice Award from ‘Creative Child’ magazine and the Silver winner from the 2013 National Parenting Publications Awards, the VM321 consists of one parent unit (monitor) and one baby unit (camera). Other components of the VM321 include AC power adapters for both units, parent unit rechargeable battery and wall mounting bracket/hardware. 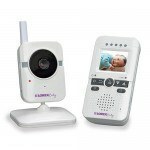 The VM321 camera (baby unit) features infrared LEDs for night vision, microphone, antenna, light sensor, temperature sensor, five-way power indicators, speaker for two-way talkback with baby, adjustable volume, lullabies (five from which to choose; total duration of 20 minutes) and a 2x zoom camera with angle tab. The monitor (parent unit) comes with sound level, signal strength connection, power, camera view and temperature alert status indicators. The 2 inch (5 cm) color LED screen can be automatically set to sound activation. Note that the user’s manual is specific to the VTech VM321/VM321-2 baby monitor models. The VM321-2 consists of one monitor (parent unit) and two cameras (baby units). The DM221 consists of a baby unit, a parent unit, a battery pack for the parent unit and two AC power adapters. Two handy features available on the baby unit include a nightlight and a page button that is used to find lost or misplaced parent units. The parent unit with display screen has sound/vibration, signal strength connection and battery indicators. Five levels of sound sensitivity are included with two-way talkback capability. A built-in belt clip allows for easier portability. As with the video monitors, maximum range is 1000 feet (305 meters) and a maximum indoor range of 150 feet (45.7 meters). Note that the user’s manual is specific to the VTech DM221/DM221-2 baby monitor models. The DM221-2 consists of two parent units and one baby unit. While this model is very similar to the DM221, it comes without nightlight and paging features and lacks volume control. It does include a visual sound and low battery indicators. 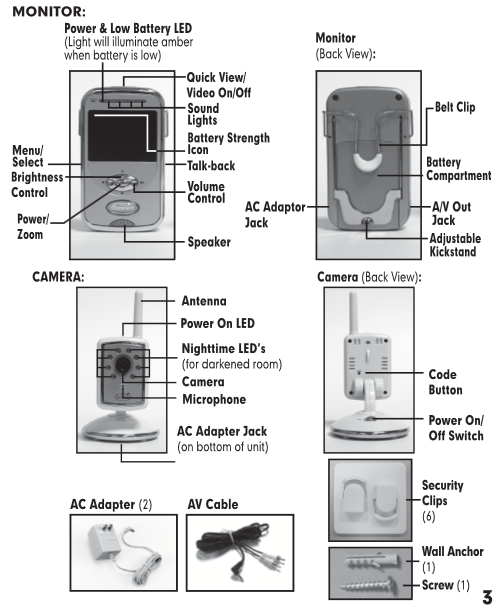 Note that the user’s manual is specific to the VTech DM111/DM111-2 baby monitor models. The DM111-2 consists of two parent units and one baby unit. Overall, VTech baby monitors receive praise from both institutional reviewers and consumers. A specific model such as the DM121 audio monitor has received a four star rating aggregated over several hundred reviews on Amazon. However, the same model has averaged only two stars based several dozen reviews at the Canadian Toys ‘R’ Us website. Walmart shoppers, in a sample of over 200 reviews, rated the DM221 at slightly over 4¼ stars, or 88%. Based on 13 reviews, Amazon customers rated the VTechVM333 video and audio monitor at 4¼ stars. Meanwhile, 10 of 12 consumers who bought the model at Walmart gave it 5 stars; the other two awarded it 4 stars. The VM321received four stars from 240 Walmart reviewers or 83%. This model is apparently unavailable from Amazon but can be found at Toys ‘R’ Us. A number of sponsored reviewers — geekygamermom.com, ourfamilyworld.com, watchmytot.com, busymommymedia.com, ohsosavvymom.com etc. 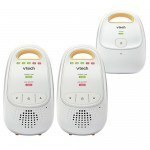 all uniformly rave over the VTech baby monitors, particularly the VM333 and the DM221. However, only Walmart gives a side-by-side comparison of all four models. One question that may occur to the discerning shopper: why does the flagship DM333 model (read most expensive) not have features found on the DM321 (lullabies) and the audio monitors (night light and vibrating sound alert)? Also note that none of the VTech products are internet capable; viz, a parent can’t use a smartphone app to check on baby from across town or across the country with a VTech baby monitor. 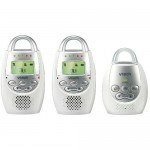 Some users report that the VTech baby monitors have very limited range (while others claim that the product works to its full advertised distance), sound level indicator glitches and limited service life. Powered by both AC and an included rechargeable battery (with a “short” operating time; the manual recommends using the parent unit on AC power), the VM333 parent unit (monitor) has a diminished battery life compared to many of its competitors. Also note that the VM333 baby unit (camera) does not run on batteries and hence is not rechargeable. While not as pricey as many video baby monitors but also without smartphone capability, VTech Baby Monitors deliver reasonable quality with fine customer service. 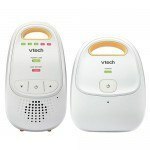 VTech monitors, in particular the VM321, offer a reasonable compromise between price, number of features offered and reliability and are appropriate for babies, bed-bound senior citizens and other household surveillance needs. According to the reviews surveyed, VTech has many more satisfied than disgruntled customers. Since the company backs its products with a strong warranty and responsive customer service, one can feel comfortable with purchasing and using VTech baby monitors. 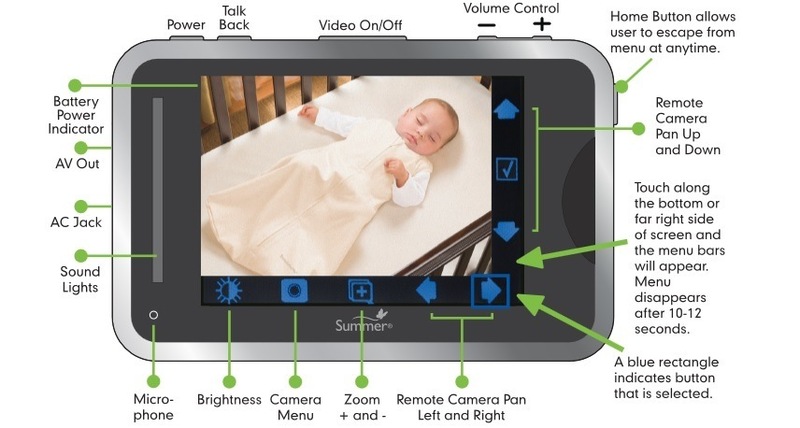 Genexus, maker of a line of eclectic consumer products, also markets the Infant Optics DXR-5 baby monitor system. For over two years it’s the number one top seller of baby monitors on Amazon.com. They recently rolled out an upgrade, the Infant Optics DXR-8, which Genexus claims is the world’s first monitor with “interchangeable lens technology.” This feature — with three separate lens types (normal, wide angle with 170° panoramic view and zoom) allows the parent to “customize camera perspective for the appropriate environment.” Like its competitors, it has all the bells and whistles that consumers have come to expect from a video baby monitor. Remote camera pan/tilt, IR night vision, parent talkback, room temperature sensor — all the usual suspects are present in this product. It also comes with a full range of accessories. 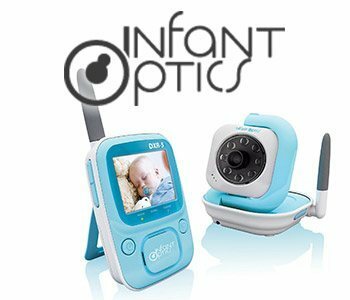 Infant Optics baby monitors are made and marketed by Genexus LLC, an American company based in California. In addition to baby monitors, Genexus sells handheld evaporative fans and light therapy lamps with “full spectrum” lighting. Currently, Genexus is a defendant in a patent infringement suit brought by Alberta, Canada-based The Litebook Company Ltd. regarding Genexus’ light therapy device. 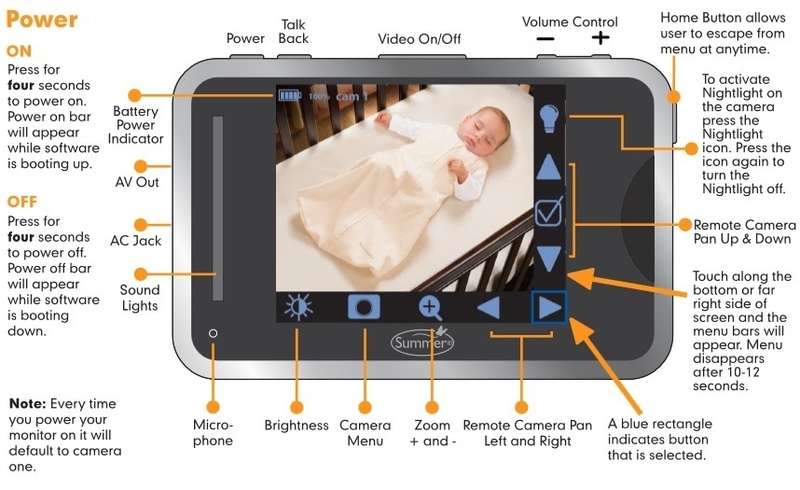 For years, Genexus marketed only one video baby monitor model, the Infant Optics DXR-5. It is a highly-regarded product, competitively priced, that dispensed with superfluous features that many parents didn’t need: lullabies, nightlights and a 2-way talkback feature. It was a hit with Amazon customers, who made the Infant Optics DXR-5 the best-selling monitor on Amazon’s best seller list for baby monitors in 2012 – 2013. Building on the success on the DXR-5, Genexus debuted the DXR-8 in September 2013. which features interchangeable lens capability. This flexibility allows the camera to switch to a wide-angle lens for better viewing of the child when baby becomes a toddler and becomes more mobile. The DXR-5 consists of a parent unit (monitor) and a baby unit (camera). The parent unit has a 2.4 inch (6 cm) color display monitor with 320×240 resolution, auto-tuned and virtually encrypted by FHSS between 2400 to 2483 MHz frequencies for static-free, wireless digital transmission. Its range covers distances of up to 800 feet (244 meters) in open areas and 150 feet (45.7 meters) in enclosed areas. Capable of supporting up to four cameras simultaneously, the monitor has a voice activated (vox) battery saving mode with a low volume auto mute feature. It can be activated either manually or by vox. The monitor’s LED indicators covers power, signal coverage and reception statuses with ten step increments for volume control and six step increments for brightness. Powered by AC, the monitor also comes with a rechargeable, high-performance lithium-ion battery and a 6V 1A DC adapter with 110v – 240v input that allows the unit to be used worldwide. Battery life lasts for up to 3 – 4 hours. It also includes a convenient waist clip for use when the monitor is not standing on its own. The DXR-5 baby unit (camera) has a Cellular Management Operation System (CMOS) sensor with a Video Graphics Adapter (640×480 pixels; 1.33:1 aspect ratio). It has an Effective Focal Length (EFL) of 2.95 mm and a Back Focal Length (BFL) of 2.48 mm. Automatic infrared (IR) vision LEDs adjust to dimming light and shows images from up to ten feet away. The DXR-5 camera has a lateral angle range of +/- 15° and a vertical angle range up to 90°. It also includes a built-in, high sensitivity gain microphone. As with the monitor, the baby unit is powered by AC and also comes with a rechargeable, high-performance lithium battery and a 6V 1A DC adapter with 110v – 240v input that allows the unit to be used worldwide. Mounting options include tabletop, wall-mounted or upright-stand mounted and mounting screws are included. Take a look at the Infant Optics DXR-5 instruction manual here. Reputed to be the first baby monitor with interchangeable lens technology, the DXR-8 Video Monitor has three separate lens types — normal, wide angle (sold separately) and zoom. The camera streams real-time video to a compact 3.5 inch (8.9 cm) color display monitor, which is larger than the DXR-5. It includes all of the features found in the DXR-5 and extras including 2-way talkback and room temperature sensor. Also new to the DXR-8 are dual USB chargers with an additional power cord to charge from both a computer or an AC outlet. Battery life has been extended to ten hours in power-saving mode and six hours with the display screen continuously on. One would be hard pressed to find a video baby monitor with a longer battery life. The wide angle lens available with the DXR-8 covers a panoramic 170°, which is helpful for monitoring active babies and toddlers who wander the nursery. There’s also an extended vertical turning angle (95° up, 25° down) and an extended horizontal range up to 135° both left and right. It is a true PTZ (pan/tilt/zoom) camera with 2x zoom. Take a look at the Infant Optics DXR-8 instruction manual here. Both DXR models come with a full range of accessories including additional monitor and camera unit AC adapters, additional lithium-ion battery packs and add-on cameras. The optical wide angle lens is compatible with the DXR-8 only. Note that each model has separate accessories that are not interchangeable with the other. As noted above, the Infant Optics DXR-5 has been a favorite of Amazon shoppers with over 2,800 customer reviews as of August 2014. While the aggregate rating on Amazon is 3.8 stars, half are 5 stars. The DXR-8, seventh on Amazon’s top rated baby video monitors, fares somewhat better with Amazon customers, rating 4.4 out of 5 stars based on slightly over 200 reviews. Other reviewers laud the DXR-8 including bestbabyvideomonitors.com, kidsafetyfirst.com (with a 90% rating and a “Best in Class” award), thebestvideobabymonitors.com and bestbabymonitorsguide.com while the DXR-5 is praised by toptenreviewratings.com, diapers.com, and babymonitorexpo.com. For those looking for the best prices on Infant Optics video baby monitors, as of August 2014 Amazon has the DXR-5 available at under $100 with free shipping and free returns with gift wrapping available. The DXR-8 comes with a considerably higher price tag. Both come with a full one year warranty with support and service available seven days a week. The Infant Optics DXR-5 may be the best value of all video baby monitors on the market and the DXR-8 is a quality product as well. In fact, one could expect to pay the same amount for a high quality audio-only baby monitor as one would for the DXR-5. However, both have limitations. Perhaps most significantly, neither support Wi-Fi; several other video baby monitors in the DXR-8 price range have Wi-Fi capability. Other gripes: some users report “glitchy” reception and a “jerky” appearing video at times from the DXR-5, the DXR-8 emits a “beeping” noise when it goes into sleep mode and there is no battery backup for the camera — viz, it must be plugged into an electrical receptacle to work. Also note that the DXR-5 uses camera batteries which are substantially different from the batteries used by other baby monitors. All in all, both Infant Optics DXR models are high quality baby products, easy to commission and to use. If one doesn’t need every single feature that are available on other models, users should be happy with the value the DXR delivers. There are a number of good reasons to invest in a video baby monitor for the peace of mind one provides to the parents. With the latest wireless technology incorporating smartphone apps, now Mom and Dad can soothe and placate baby even while away from home. The fierce competition between manufacturers has been a boon for consumers as each new product that enters the market adds more features useful for the parent who has to balance a career with the demands of parenting. 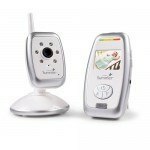 We’ve only tasted the some of the baby video monitors available; further and more detailed examination of these products will be presented so that parents can choose the best monitor for baby’s needs. Baby monitors may not be a necessity, but they can help ease your fears and keep your baby safe. You don’t have to spend your entire paycheck on one! There is a style and brand in every budget range, and we think they’re a pretty important purchase for parents. Who doesn’t want to sit outside at night around a fire? We know you probably do and having a baby monitor means you can walk outside and know your baby is safe. Peace of mind is worth the money.